Pontuação dada pelos hóspedes após a sua estadia em 1872 River House. 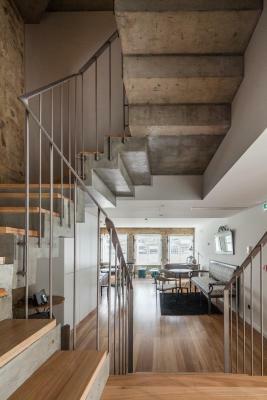 Consiga um excelente preço em 1872 River House - pontuação de 9,7 dada por hóspedes recentes. Fabulous location. Beautiful building. Welcoming, accommodating & most helpful staff. Delicious breakfast offerings and lovely extras to make you feel at home. 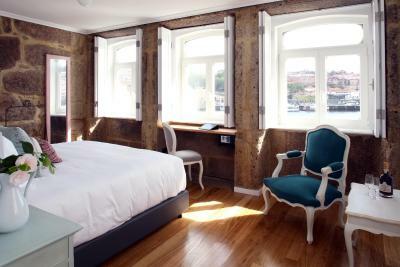 This is a special hotel and, when we next travel to Porto, we will surely return to the 1872 River House. 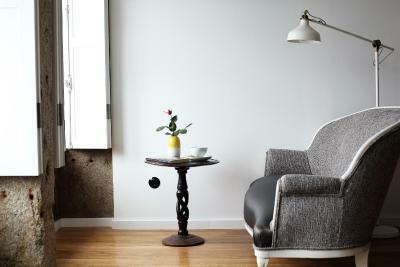 This hotel, more like a guest home, is extremely charming. I stayed in a river front room with plenty of sunlight. The breakfast room is beautiful. Breakfast is delicious and copious. You can have snacks and coffee or tea throughout the day. The team is fantastic amazing. Salome, Luana, Soraia and Maria made me feel at home and went out of their way to insure that my stay was nothing short of fabulous. Thank you so much for making these two days so special. Bravo!! 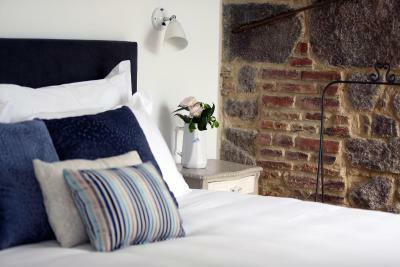 This little boutique hotel is ran by fantastic staff making you feel very welcomed. 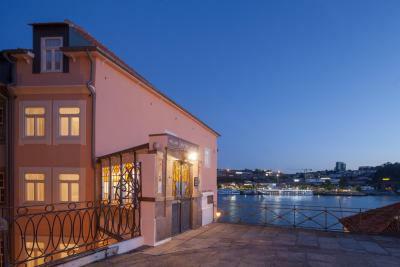 Location is great as by the river and close to river and lot of restaurants, coffee places and bars. 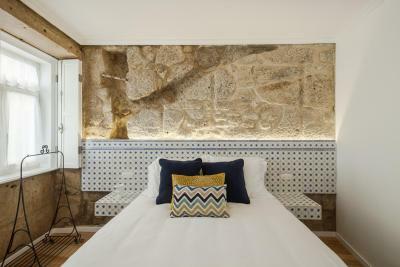 The bed sheets were the best I have EVER slept in, I even asked for the details so that I can buy some, and the staff were so gracious and friendly at the hotel. We hope to go back again next year. The staff was welcoming, helpful and a joy to be with. Great location, clean interesting rooms and after a long travel day the draft beer on arrival was a great treat. Everything was perfect. From the staff, to the breakfast, to the room’s comfort. We couldn’t have been happier. River house has set a standard that all other hotels should follow. Beautiful location. Staff so friendly and helpful. Great friendly service, amazing location right on the river and close to all attractions. Lovely common room serving great breakfast. 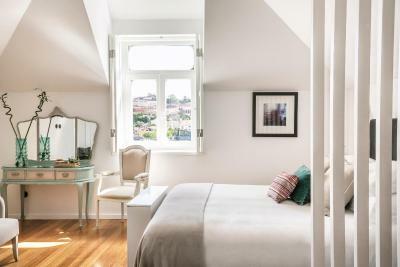 "Localização fabulosa com vista sobre o Douro, decoração linda, pequeno almoço divinal, lençóis superconfortaveis, simpatia inexcedível da Susana e da Mariana"
"Fabulous location. Beautiful building. Welcoming, accommodating & most helpful staff. 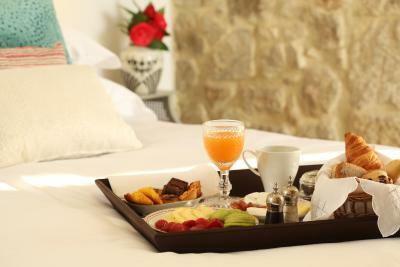 Delicious breakfast offerings and lovely extras to make you feel at home. " 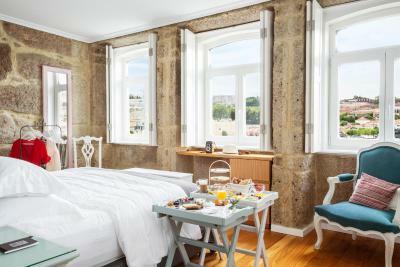 "This hotel, more like a guest home, is extremely charming. I stayed in a river front room with plenty of sunlight. The breakfast room is beautiful. 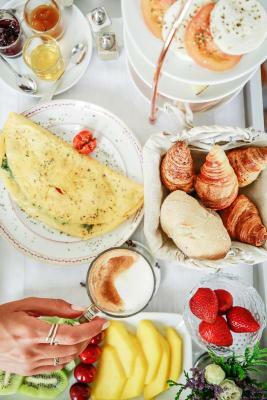 Breakfast is delicious and copious. " 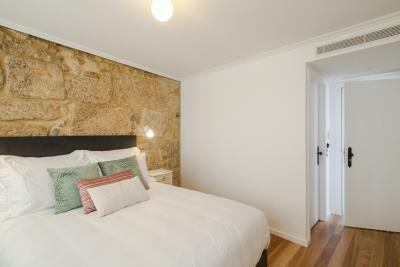 "This little boutique hotel is ran by fantastic staff making you feel very welcomed. 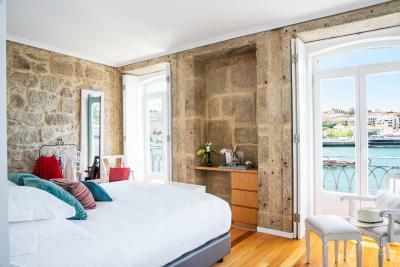 Location is great as by the river and close to river and lot of restaurants, coffee places and bars." 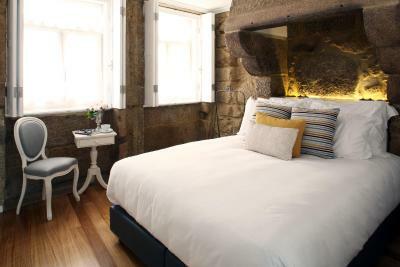 "The bed sheets were the best I have EVER slept in, I even asked for the details so that I can buy some, and the staff were so gracious and friendly at the hotel. We hope to go back again next year." 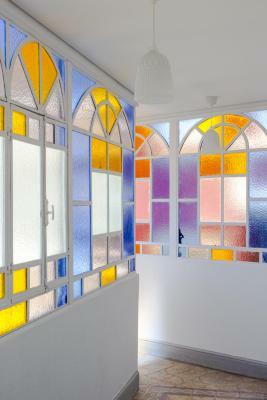 "The staff was welcoming, helpful and a joy to be with. 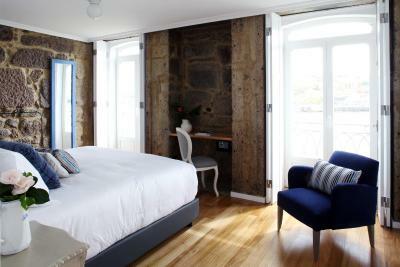 Great location, clean interesting rooms and after a long travel day the draft beer on arrival was a great treat." "Everything was perfect. 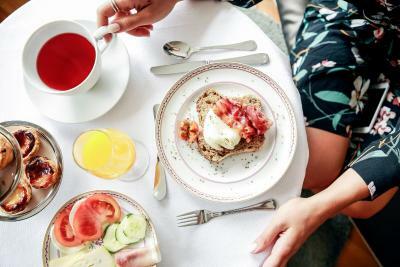 From the staff, to the breakfast, to the room’s comfort. We couldn’t have been happier. 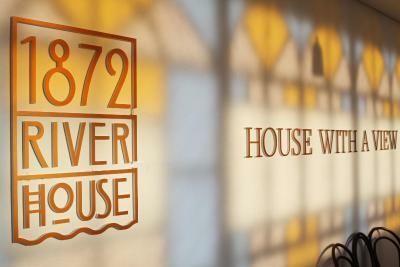 River house has set a standard that all other hotels should follow." "This lives up to its strap line "House with a View". 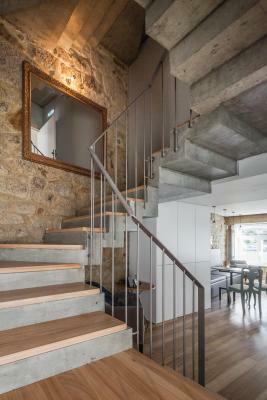 The authentic 1872 architecture is married to modern design in a beautiful way. " "Beautiful location. Staff so friendly and helpful." "Great friendly service, amazing location right on the river and close to all attractions. 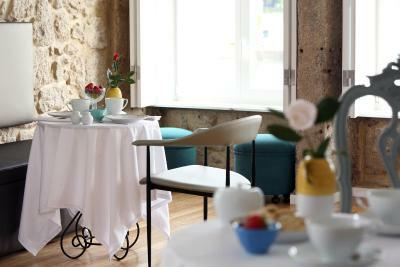 Lovely common room serving great breakfast." 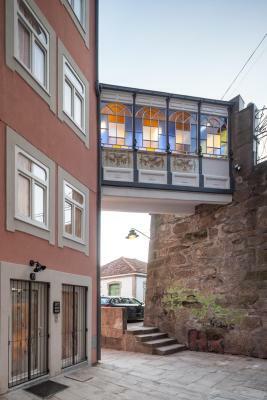 Localizado mesmo em frente ao Rio Douro, o 1872 River House oferece vistas panorâmicas sobre a zona ribeirinha, bem como para a Ponte Luís I. 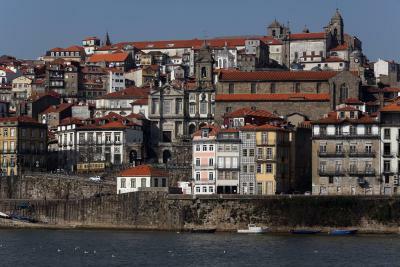 A zona histórica da ribeira está a 100 metros e o centro do Porto fica a 1,2 km. Os quartos climatizados estão decorados de forma clássica e apresentam uma televisão de ecrã plano. 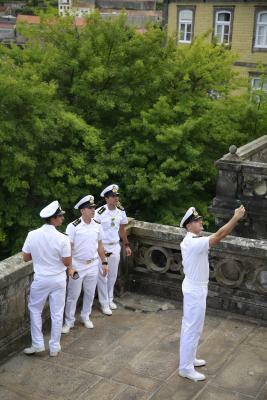 Alguns quartos têm vista para a cidade, enquanto outros apresentam vista sobre o rio. Todos incluem acesso Wi-Fi gratuito e uma casa de banho privativa. É providenciado um serviço de limpeza diário. O pequeno-almoço está incluído na tarifa de acomodação e é servido todas as manhãs na luminosa área de refeições da proprieade. O pequeno-almoço no quarto está disponível mediante um custo adicional. 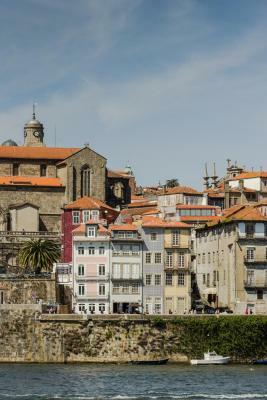 A zona ribeirinha do Porto é um popular destino turístico, repleto de restaurantes tradicionais e bares. Os hóspedes poderão alugar bicicletas na recepção, a fim de percorrer o passeio marítimo de forma descontraída. Também estão disponíveis serviços de baby-sitting, mediante um custo adicional. 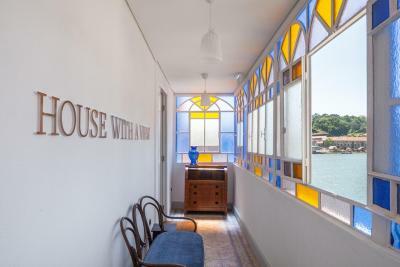 Também por um custo adicional, os hóspedes do River House poderão desfrutar de visitas guiadas à cidade. A central Avenida dos Aliados encontra-se a 13 minutos a pé e apresenta muitas lojas e cafés típicos. 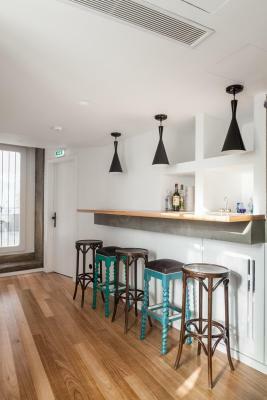 A icónica Torre dos Clérigos fica a 900 metros, assim como a zona de bares Galerias de Paris. 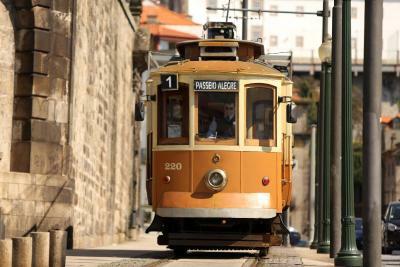 A zona ribeirinha de Gaia fica a 1,3 km, do outro lado da ponte. 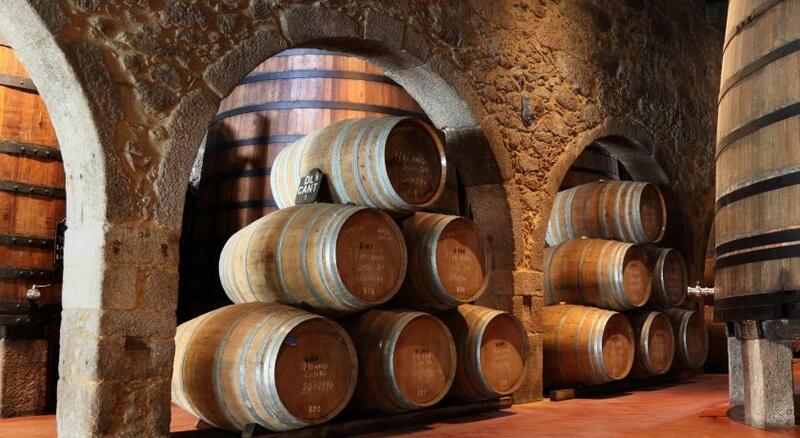 É onde se encontram a Caves de Vinho do Porto. 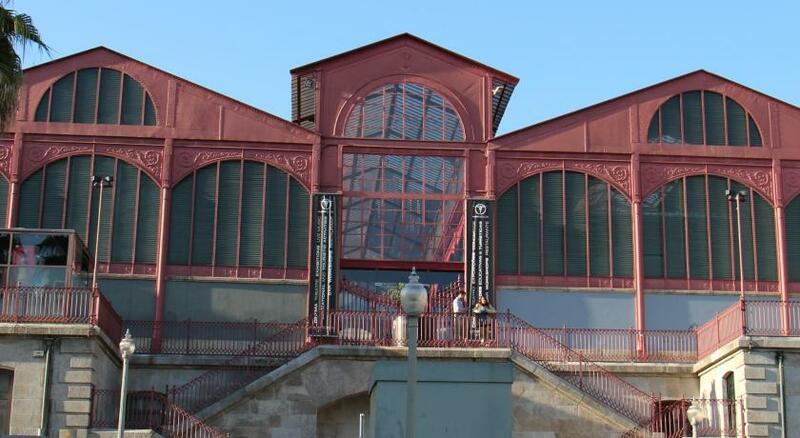 O Aeroporto Internacional do Porto fica a 22 km do encantador 1872 River House. 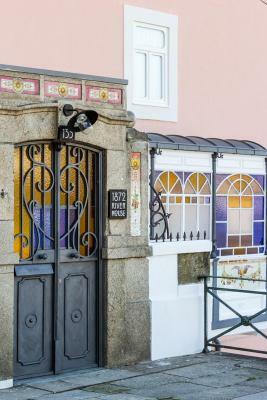 Esta propriedade também tem uma das localizações melhor pontuadas em Porto! Os hóspedes estão mais satisfeitos com ela do que com outras propriedades da mesma área. 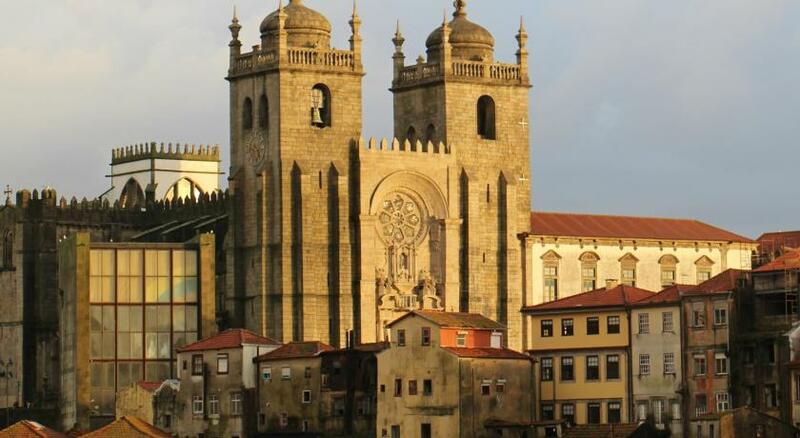 Os casais gostam particularmente da localização — deram uma pontuação de 10 para uma viagem a dois. 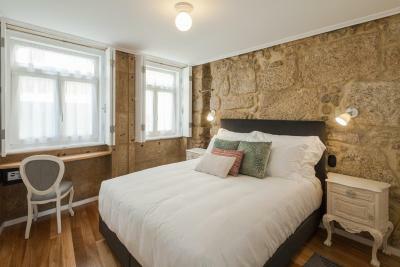 Este alojamento é recomendado pela boa relação preço/qualidade em Porto! Os hóspedes têm mais por menos dinheiro em comparação a outros alojamentos nesta cidade. 1872 River House dá as boas-vindas a hóspedes de Booking.com desde 8 de Abr de 2014. 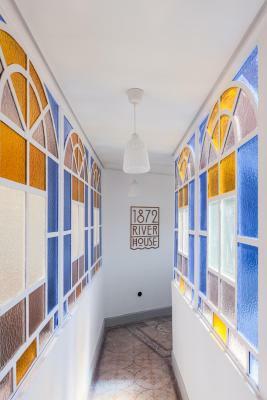 Em que período gostaria de hospedar-se em 1872 River House? Os quartos climatizados estão decorados de forma clássica e possuem uma casa de banho privativa e uma televisão de ecrã plano. Estas unidades têm vista para a cidade e acesso Wi-Fi gratuito. 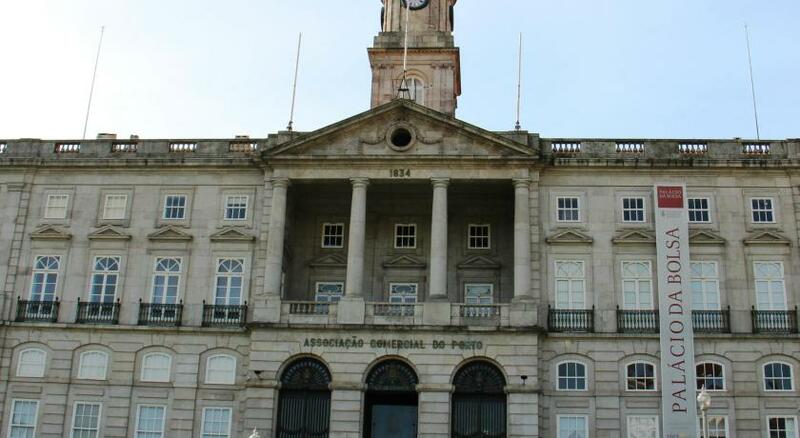 Estacionamento público disponível numa localização próxima (não carece de reserva) Custos: EUR 24 por dia. Os quartos climatizados estão decorados de forma clássica e possuem uma casa de banho privativa e uma televisão de ecrã plano. 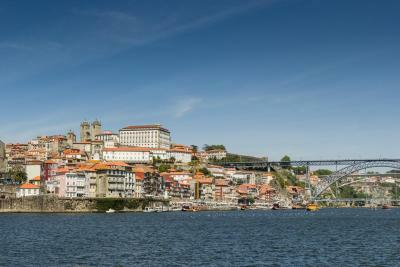 Estas unidades gozam de vistas panorâmicas para o Rio Douro e de acesso Wi-Fi gratuito. 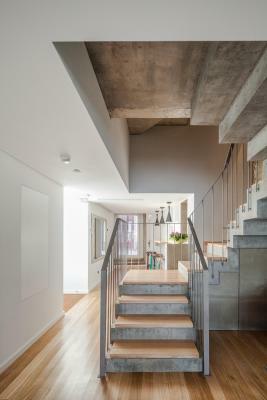 Proximidades da propriedade – Esta área é uma excelente escolha para quem está interessado em bom ambiente, caminhadas e arquitetura – Verifique a localização Excelente localização — mostrar mapa Os hóspedes adoraram passear pela área circundante! 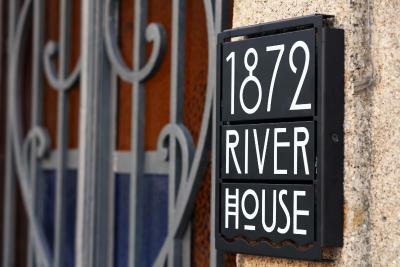 Informação essencial 1872 River House aceita pedidos especiais -adicione-o(s) no próximo passo! 1872 River House aceita estes cartões e reserva-se o direito de reter um valor temporariamente no seu cartão antes da chegada. Por favor, note que este hotel é para não fumadores. 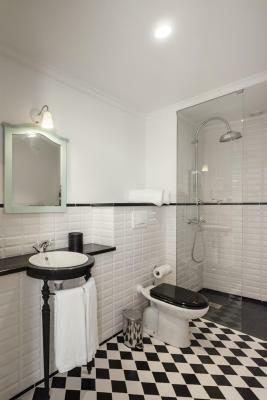 Por favor, note que a ocupação máxima por quarto é de 2 hóspedes. 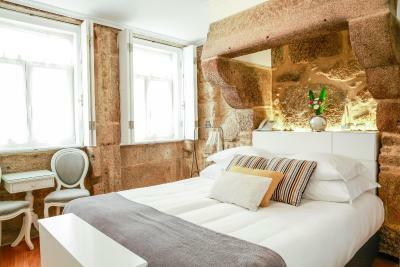 Por favor, que as reservas de 4 ou mais quartos podem incorrem em condições diferentes. "Fabulous location. Beautiful building. Welcoming, accommodating & most helpful staff. Delicious breakfast offerings and lovely extras to make you feel at home. 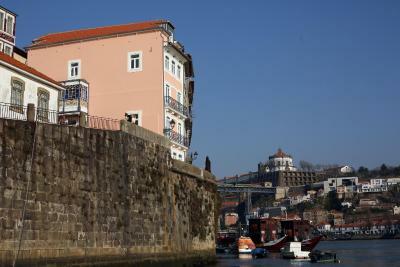 This is a special hotel and, when we next travel to Porto, we will surely return to the 1872 River House." 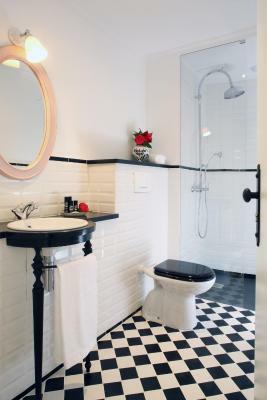 "This hotel, more like a guest home, is extremely charming. I stayed in a river front room with plenty of sunlight. The breakfast room is beautiful. Breakfast is delicious and copious. You can have snacks and coffee or tea throughout the day. The team is fantastic amazing. Salome, Luana, Soraia and Maria made me feel at home and went out of their way to insure that my stay was nothing short of fabulous. Thank you so much for making these two days so special. Bravo!!" "This lives up to its strap line "House with a View". 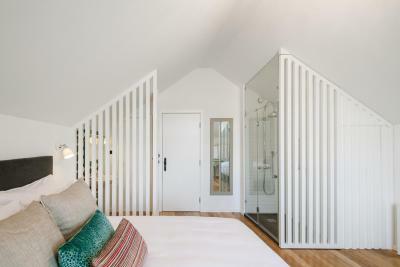 The authentic 1872 architecture is married to modern design in a beautiful way. The staff were brilliant: helpful, knowledgeable and just a wonderful combination of enthusiasm and hospitality. 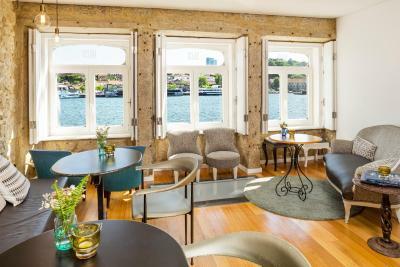 The location over the river is stunning- go for the river view rooms if you want to be entertained by the Douro without the noise and crowds of a lot of the other hotels in Ribiera area,"
O colchão fazia duas covas, já necessita de ser trocado. Muito confortável, individualizado. Simpatia dos funcionários, nota 10. Do charme da acomodação, da gentileza quanto ao atendimento, da atenção das meninas que ali trabalham!!!! 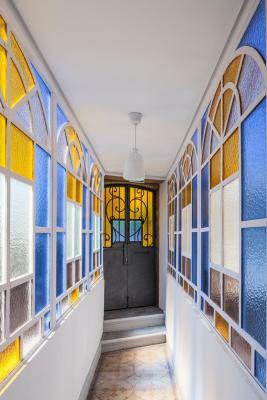 Fiquei encantada com tudo e com todos!!! 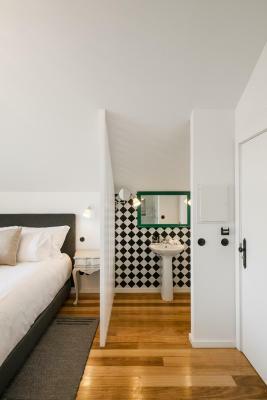 "Charme, simpatia e pequeno almoço extraordinarioi"
"Um hotel diferente com a cara da casa da gente!" Armário para guardar as roupas, só tinha um cabideiro; no banheiro o box não possuía um vidro para evitar que a água invadisse o piso do banheiro. 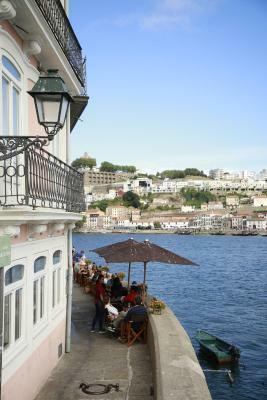 Café da manhã muito bom; a hospitalidade e prestesas das funcionárias; localização com vista para rio Douro.